Nearly all Russian sectors are increasingly affected by the sharp downturn in Russian economic growth, Rouble devaluation, sanctions, lack of investment and mounting difficulties in the banking system. Businesses exposed to currency risks, that rely heavily on imports and which have high levels of external borrowing will likely be the most impacted. 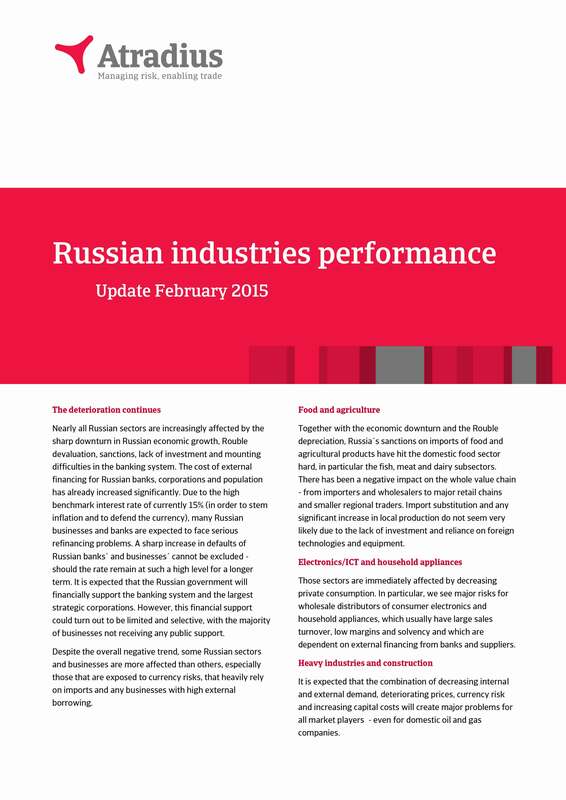 However the impact is expected to be felt broadly across many industries both in Russia and exporting to Russia. Discover the detail of the impact by sector.